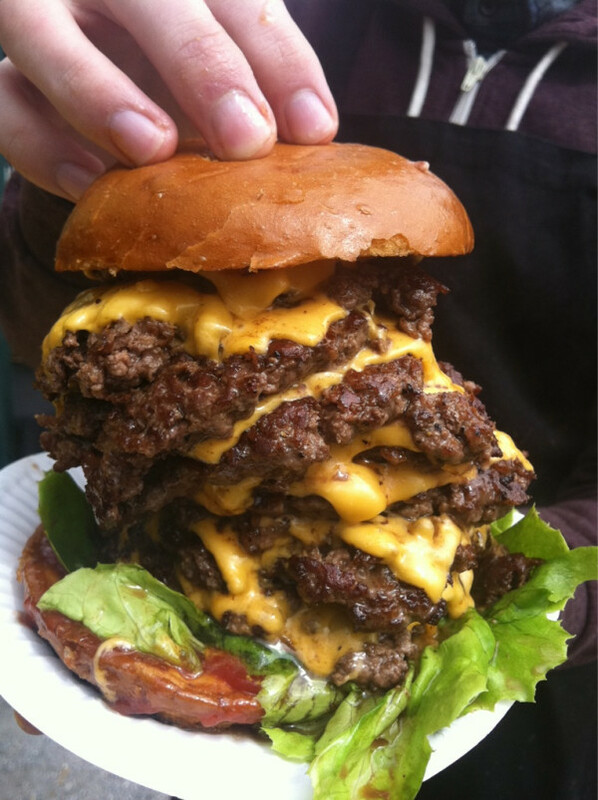 From street food outfit MotherFlipper comes this 30oz cheese and beef-laden goliath. Its made of 10 3oz smashed patties (100% English chuck) with American cheese melted onto every layer. It's sandwiched between a standard sized glazed brioche bun and garnished with MotherFlipper's usual cheeseburger sauce, salad, and gherkins. 10 rashers of candy bacon can be added to make this monster even more intimidating. Make sure you stock up on the napkins before you attempt it!